Wednesday (11/1), President University Foundation (YPUP) held a Christmas celebration 2018 with a theme “Menghadirkan Hikmat Kristus di Tengah Kemajemukan” which was held in Charles Himawan Auditorium, President University, Cikarang. The event was attended by approximately 400 lecturers, staffs, and students from President University and President Schools. The event was opened by a remark from Chairman of YPUP, Prof. Budi Susilo Soepandji. “I hope through reflecting Christmas and new year, we can face further challenges with good cooperation,” said Prof. Budi. 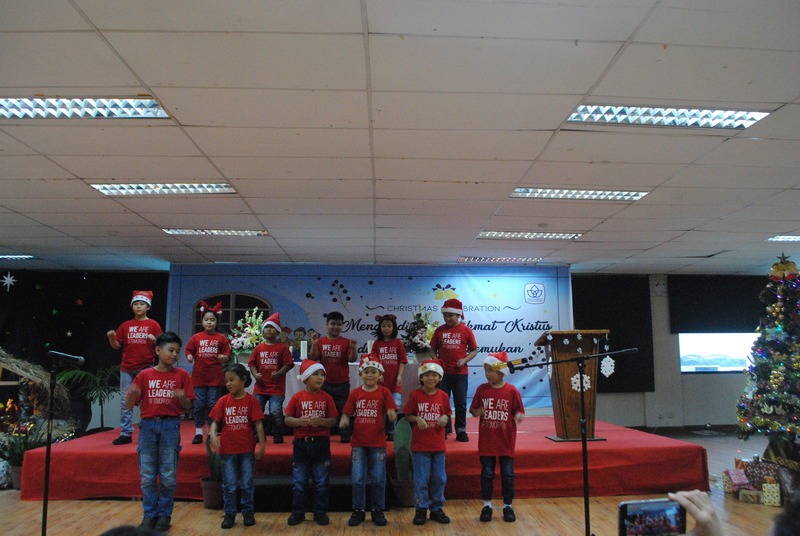 The special performances from President’s Kindergarten, High School, Junior High School, and Senior High School added the festive atmosphere into the Christmas celebration in YPUP. The event was closed with a banquet. Rabu (11/1), Yayasan Pendidikan Universitas Presiden (YPUP) menyelenggarakan acara perayaan Natal tahun 2018 dengan tema “Menghadirkan Hikmat Kristus di Tengah Kemajemukan” bertempat di Charles Himawan Auditorium, President University, Cikarang. Acara tersebut dihadiri sekitar 400 dosen, staf dan murid yang berasal dari berbagai kalangan yakni TK, SD, SMP, SMA, PSNC (President Special Needs Center), dan President University. Perayaan Natal tahun 2018 di lingkungan Yayasan Pendidikan Universitas Presiden juga dimeriahkan oleh penampilan spesial dari para murid TK, SD, SMP, dan SMA Presiden. Acara ini ditutup dengan jamuan makan bersama.